This FLL season, 9 of our 10 team members came back for the Ocean Odyssey challenge! Now we are a true veteran team. 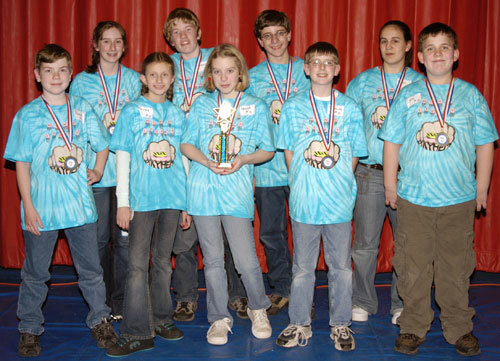 On November 19, 2005, we went to the Merrimack Mindstorms Madness local tournament with our rookie sister team, More Mayhem. Mindstorms Mayhem had a high table score of 260 and placed first for the Robot Design Award. More Mayhem placed first in Robot Performance with a high score of 309 as well as Third Place Research Presentation Award. Both Mindstorms Mayhem and More Mayhem qualified for the NH State Tournament. Now both teams are preparing for the NH State Tournament!